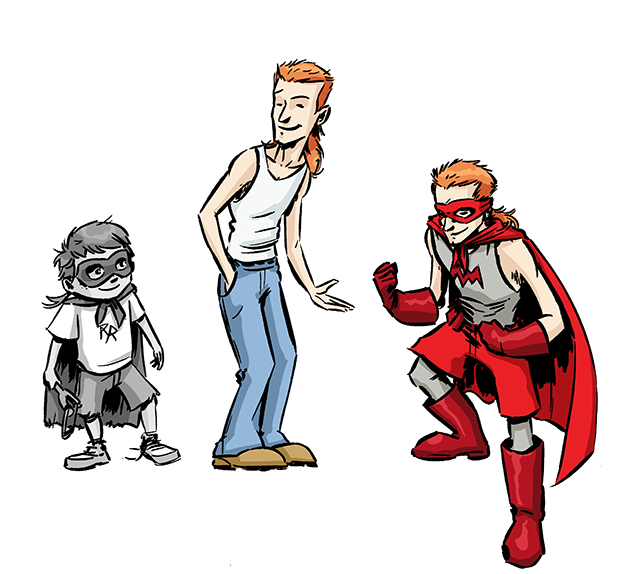 Red Mullet is a self-proclaimed super hero with no super powers and a limited supply of resources. It could be assumed that he has some form of military experience, a semblance of martial arts training, a passable excuse for an education, and a driving passion to enforce his own idea of justice. Armed with an unquenchable thirst for adventure, a handy roll of duct tape, and a physique that any corn-fed country boy would be proud of, RM is ready to jump into action at the slightest hint of wrongdoing. His alter ego, Jess Whyte, was instilled at an early age with a unique set of characteristics that lent themselves well to his particular crime-fighting style. Raised by his grandfather, a grizzled war veteran known to him as Paw-Paw Lonnie, in a rusty trailer in the foothills of Western Kentucky, Jess firmly believes that his parents were abducted by aliens. Given these circumstances, it is safe to say that a new breed of superhero was bound to emerge. 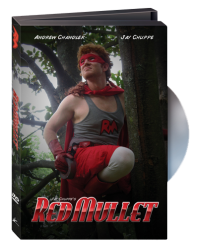 Cow-Boy is the portrait of a faithful sidekick, and in many ways the perfect compliment to Red Mullet’s reckless abandon. While his naivety sometimes gets him into trouble, his impressive logic and quick improvisational skills are always there to get him out. 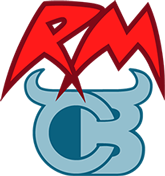 Even though RM boasts several patents on his unique inventions, CB is the primary weapons manufacturer. His favorite piece of equipment remains the prototype Power Udder, which fires his own batch of non-lethal, dairy- based projectile adhesive, among other useful applications. 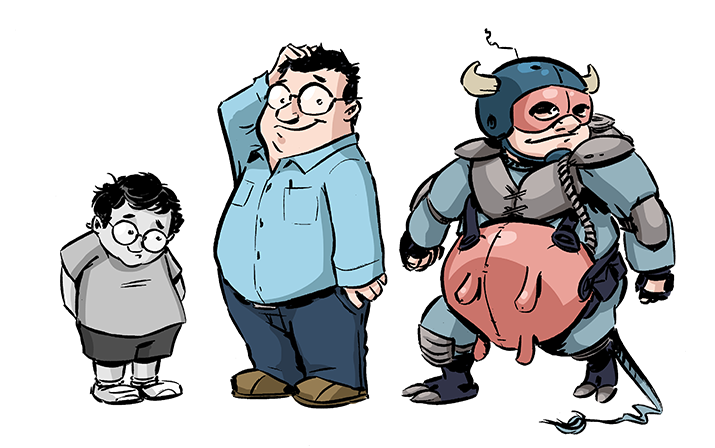 As dairy farm heir, Bobby Bovine, Cow-Boy has access to resources and experience that continually benefit this super team in unexpected ways. CB often counts himself lucky to be a sidekick to his best friend.